Bryce Canyon has plenty of places to stay that are enjoyable and nice, or opt for camping! Either way your experience will be one for the memory book! • Guided ATV tours-this is one of the most popular activities. The beaten path along the Canyonland countryside offers an ideal area to explore. These breathe-taking drives especially through Zion Canyon are regarded as top scenic drives within the US. Castro Canyon is mostly preferred by ATV enthusiasts. • Fishing tours at Panguitch Lake-this lake is located in Dixie National Forest and its name is derived from Native Paiute dialect meaning “Big Fish”. It is an intriguing area offering unbeatable tiger trout, rainbow, and cutthroat fishing experiences. • Red Canyon-an excellent destination for hiking and mountain bike riding. It is also an amazing place for horseback trailing. • Kodachrome Basin State Park-is another place to visit. It offers peculiar natural attractions including; signature rock formations, landscapes, and sceneries. 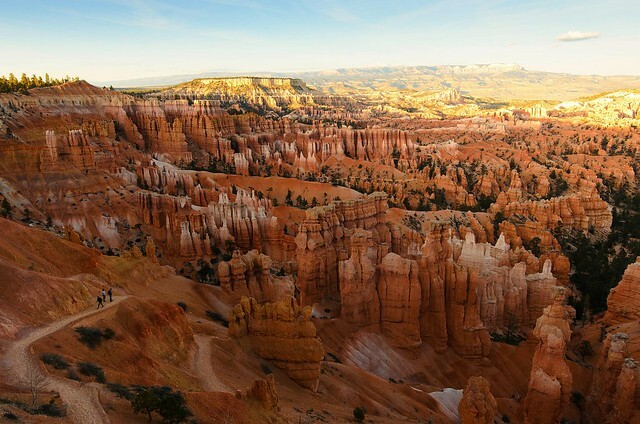 • Additional events-to spice up your Bryce Canyon visit other activities enjoyed include massage and spa packages, rallies, festivals and many others. There are many things to do in Bryce Canyon. Reliable sites are there and in case you need a comprehensive guide on any requirements they can easily be visited.